British summer time screams strawberries and Pimm's to me. I therefore decided to combine them to make Pimm's skinny tiramisu. I love tiramisu - coffee, chocolate and an indulgent cream. However, when I made one a few years back and saw the calories in mascarpone, I realised that it wasn't going to love me! My Mum told me to give Quark a try and I haven't looked back. 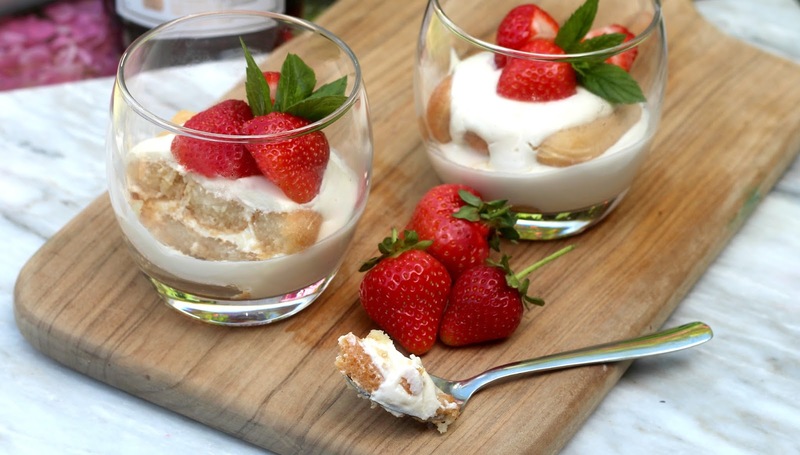 This recipe using sponge fingers soaked in Pimm's. 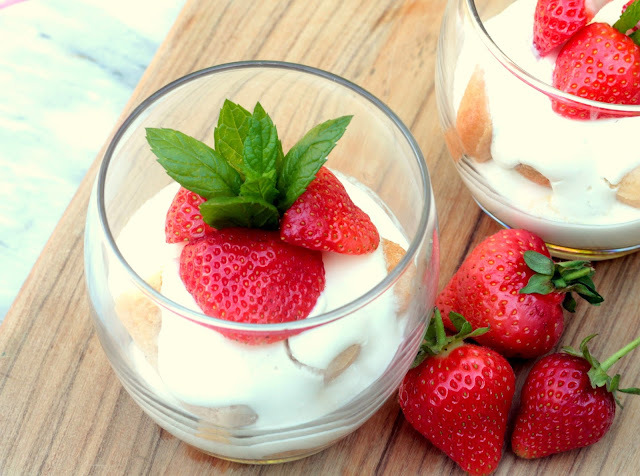 This is layered with a layer of Pimm's flavoured quark and creme fraiche and topped with fresh strawberries. I have made individual pots here, but you could make it in a big dish too. It can be made the night before and will thicken in the fridge. This recipe is for 4 people. Dip the sponge fingers in the Pimm's mixture. Place 3 pieces at the bottom of each dish. 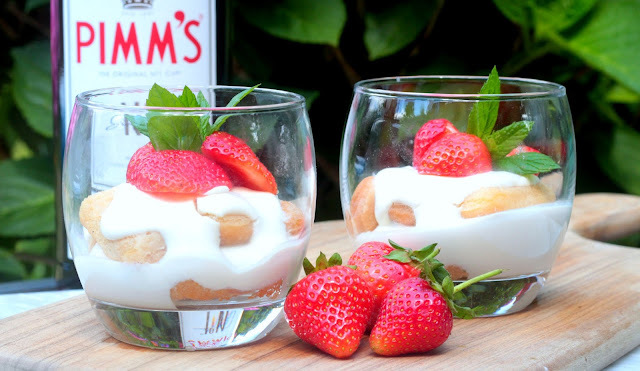 Heat 2tbsp Pimm's with 2tbsp of caster sugar and stir in the creme fraiche and quark. Spoon a layer of this over the sponge fingers. Repeat with another layer of sponge fingers and quark mixture. Allow to cool in the fridge. Top with 3 halves of fresh strawberries and sprig on mint to garnish. What foods make you think of British summer?